DUBLIN (CNS) — Under new plans being considered, Irish seminarians would spend most of their time working in parishes rather than in the traditional seminary environment. The plans would allow for more time involved in active pastoral work alongside priests and lay pastoral workers and would, according to one bishop, give them a more realistic insight into priesthood in contemporary Ireland. A committee appointed by the Irish bishops’ conference is currently drawing up a new program for the formation of priests in Ireland. It is part of what Archbishop Eamon Martin, primate of all Ireland, has called “courageously moving the whole formation experience beyond past and present methods so that priests will be suitably prepared to engage with, and evangelize, the secularized contemporary culture.” The document is known as the “Ratio Nationalis” and builds on “Ratio Fundamentalis” guidelines on priestly formation published by the Vatican in 2016. “The seminaries (at present) are almost monastic in character, and it is a shock to the system for newly ordained priests when they come to the parish. “Something based in the parish would help make it a more seamless transition,” Bishop Monahan said. He said “every option is being looked at in the context of decreased numbers” of people preparing for priesthood. However, he cautioned that there are challenges — particularly for dioceses that do not have a university. “Some parishes are a long way from a university where (seminarians) could study, and that would present practical difficulties in some cases,” the bishop said. “Can we keep two seminaries?” he asked. “The old seminary model served its purpose, but there’s a definite need to look at other models now,” he said. 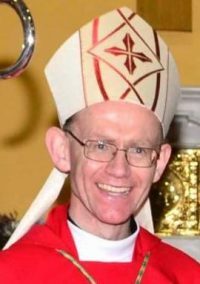 Father Tom Surlis, rector of the national seminary at Maynooth, said the consultation process has been going on since the start of the year, and the committee has already received responses from diocesan vocations directors, councils of priests and leaders of religious congregations, among others. He said a key part of the work of the committee will be looking at how prospective priests are accompanied before and during their formation. “In a vocational environment, where most applicants have either completed a third-level qualification and/or have worked in their particular field for a number of years, this period of accompaniment and discernment is very important in terms of helping applicants to properly examine their motivations for pursuing a vocation to the diocesan priesthood in Ireland,” he said.